Choose from an extensive range of double glazed and triple glazed windows including sliding sash, casement, and tilt and turn windows. Unlike standard uPVC windows, our Liniar Eco Energy windows feature 6 multi chambers, which provides superior insulation making them highly energy efficient. Our Eco Energy windows are also 100% lead free, meaning they are very environmentally friendly. 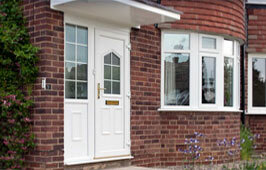 FineGlaze’s highly secure double glazed doors are available in a vast range of styles. Choose from bi-folding doors, patio doors, French doors, composite doors and residential doors in an array of colour options. All of our replacement doors are fitted with high security locks as standard. We also provide additional security upgrades for those who are concerned about the safety of their property. Our bespoke range of uPVC conservatories are available in a variety of eye catching designs, from Victorian conservatories to P-Shape conservatories and everything in-between. Our conservatories and orangeries collection will complement all styles of properties as each conservatory design can be made to suit your specific requirements. FineGlaze provides quality double glazing in Aylesbury, Dunstable, Leighton Buzzard, Tring, Milton Keynes and throughout Buckinghamshire. Our innovative range of UPVC windows, composite doors, patio doors, conservatories and orangeries meet the highest security and efficiency specifications. 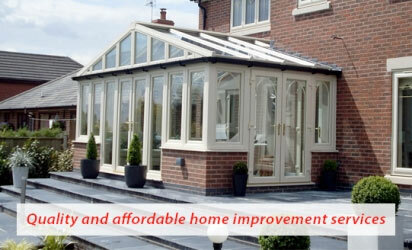 Not only do our products come in UPVC but they are also available in aluminium. Aluminium windows and doors are extremely strong and secure, offering slim sightlines and modern appeal. 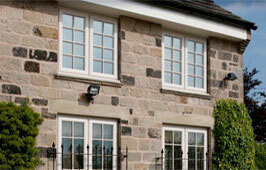 We also provide beautifully crafted timber windows& doors for those that prefer traditional aesthetics. 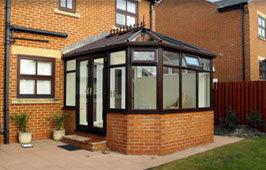 Our double glazing products are designed to suit a wide range of properties. We are confident you will find the perfect match for your property from an extensive double glazing collection. FineGlaze provides double glazing in Aylesbury, Dunstable, Leighton Buzzard, Tring, Milton Keynes, Oxford and throughout Buckinghamshire. Please contact us for more information .